Going digital has not been an easy ride for journalists, news outlets and even startups. It’s been bumpy, uncertain and challenging to say the least. Yet through it all, we’ve soldiered on adapting to an ever-changing news ecosystem. 1. The State of the News Media 2016 report by the Pew Research Center shows no relief for the beleaguered newspaper industry, which in 2015 suffered its worst year since the Great Recession eight years earlier. Newspaper circulation, print and online combined, experienced its worst decline since 2010 while 65 percent of the $60 billion digital ad revenues went to five tech companies, none journalism organizations though Facebook, Google, Yahoo and Twitter offer some news. The Pew report provides detailed information and analysis on 13 segments of the news industry. The trends signal a restructuring of the industry itself. 3. New Revenue for News, 52 Business Ideas to Support Local Journalism by Josh Stearns, Director of Journalism Sustainability at the Geraldine R. Dodge Foundation, lists 52 innovative as well as conventional strategies for raising revenues. He provides each listing with links to newsrooms, which have implemented the ideas. Before delving into the any of the 52 ideas, decide first if you’re really ready and committed to taking on new or additional directions to support local journalism. 4. Verification Handbook for Investigative Reporting, A Guide to Online Search and Research Techniques Using UGC and Open Source Information in Investigations by the European Journalism Centre focuses on how to mine for credible information from publicly available sources, and offers tips and techniques for testing and verifying the found information. It’s a follow up to the centre’s first Verification Handbook, A Definitive Guide to Verifying Digital Content for Emergency Coverage, published in 2014. The first handbook provided verification fundamentals as well as step-by-step guidance for how to verify user-generated content for breaking news. 5. Solutions Journalism Toolkit by the nonprofit Solutions Journalism Network is a detailed guide for “rigorous, compelling coverage of responses to social problems— reporting done with the highest of journalistic standards.“ The toolkit will take you from crafting a story pitch, structuring a solutions story and options for covering failure such “positive deviant” story. 6. Diversity Style Guide is a must-have reference for any news organization. The updated guide is a free online resource from the Center for Integration and Improvement of Journalism (CIIJ) at San Francisco State University. It includes 700 terms and phrases related to race/ethnicity; religion; sexual orientation; gender identity; age and generations; drugs and alcohol; and physical, mental and cognitive disabilities. 7. A Guide to SecureDrop provides the history, significance and use of the free and open source software specifically designed for news organizations to securely communicate with and receive documents from anonymous sources over the Internet. The report by Charles Berret, a fellow at the Tow Center for Digital Journalism at Columbia Journalism School, is a must read for any journalist or news outlet to understand the challenges technology poses to protecting sources. 9. 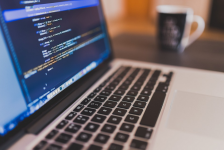 What Journalists Need to Know about Code by Aleszu Bajak, editor of Storybench at the Media Innovation Program at Northeastern University is a basic primer about what programming can do for newsrooms. You’re a good journalist but are you fluent about digital storytelling? In other words, do you understand what programming can do for newsrooms enough to have meaningful conversations with developers and designers to come up with innovative ways to present your stories? 10. Massive Open Online Courses, originally a pilot project of free classes taught by the world’s leading digital journalists, will be significantly expanded to include low-cost “Big Online Courses,” “Small Online Courses” and online master classes tailored for individual newsrooms. The expanded program under the Knight Center for Journalism in the Americas at The University of Texas at Austin was made possible by a $600,000 in support from the John S. and James L. Knight Foundation. The center plans to produce at least eight online courses per year for the next four years, reaching out to as many people as possible, including at least 10,000 participants in massive open online courses.